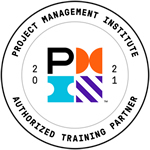 Project Management is an emerging profession operating in an increasing range of industries. As projects become more complex, and as more organisations move to management by projects, there is an increasing demand for competent project managers. Surprisingly, many small and large projects go wrong. The question is: why do they go wrong? Most of the answer has little to do with project size or degree of complexity, but a lot to do with project planning and control. The cause of project failures can often be traced back to poor project definition, planning or control. Project success is the key outcome in project management. There is nothing more important to the success of a project than making ‘good’ informed decisions. This technical skill is certainly crucial, yet few managers have had formal training in decision-making and project management. This GLOMACS Technical Project Management training course provides you with the training you need to manage your projects more efficiently. This GLOMACS training course adopts a managerial perspective with an analytic rather than prescriptive emphasis. It also considers both the human and technical sides of management. This GLOMACS Technical Project Management training methodology incorporates both theory and skill training components. This GLOMACS training course uses both well-tried and non-traditional techniques, utilises hands-on several mini-case studies and group discussions and provides thorough coverage of concepts, techniques and relevant case studies in project management. This GLOMACS Technical Project Management training course is intended for Project Management Professionals and individuals who want to hone their project management skills. So whatever background you have (i.e. Oil & Gas, Engineering, Information Technology or Business), this training course will cover both fundamental principles and modern tools of project management.